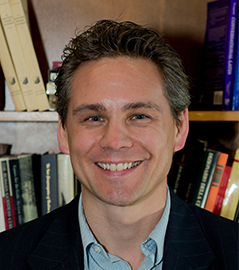 Eric Poehler is Assistant Professor with the Department of Classics, University of Massachusetts, Amherst, and holds his degrees from the University of Virginia (Ph.D.) and Bemidji State University. HIs fields of study are Greek and Roman archaeology, Roman urbanism and architectural history, infrastructure, archaeological theory and method, and the use of technology in archaeological research. He is the Principal Investigator for the Pompeii Bibliography and Mapping Project, and Co-director of the Pompeii Quadriporticus Project. Professor Poehler's current publication projects include The Traffic System of Pompeii (forthcoming, Oxford University Press), and The Quadriporticus at Pompeii (in preparation).